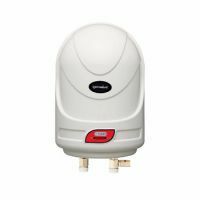 The v-guard instant water heater is designed in white with an ABS body on the exterior that makes for a welcome addition to your bathroom. Its interior has an ultra thick stainless steel superior grade inner tank that is rust and shock proof. 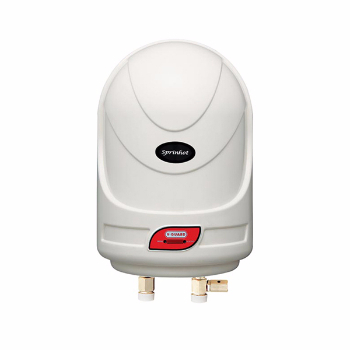 This v-guard sprinhot metro instant water heater is ideal for working in high rise. water heater is designed in white with an ABS body on the exterior that makes for a welcome addition to your bathroom. It has comes with can withstand pressure up to 6.5Kg/cm2. To Recieve updates and possible rewards for V-Guard Sprinhot Metro 1Ltr please sign in. To Recieve updates and possible rewards for Geyser/Water Heater please sign in.